It may look like a mild banana pepper, but really the Hungarian wax pepper has a lot more bite. In terms of spiciness, it’s more akin to a jalapeño with a chance for a bit more heat. This is a great chili for all sorts of cooking (including chiles rellenos) and a popular one to top off a salad with or to pickle. So the heat is like a jalapeño, pretty mild compared to other chilies? Yes, the Hungarian wax pepper typically falls between 5,000 and 10,000 Scoville heat units, which actually overlaps part of the typical heat rating of our reference point, the jalapeño (2,500 to 8,0000 SHU). There’s a good chance that you’ll be very comfortable with this chili’s pungency if you are used to the jalapeño, but know there’s a chance for more. Typically, it doesn’t reach serrano pepper territory typically (10,000 to 23,000 SHU), but it can come close. Well, these chilies originated in − surprise − Hungary! It couldn’t have a more fitting name, but it does go by a few others. Sometimes it’s simply known as the hot wax pepper or the hot yellow pepper. The other aspect of the name refers to the waxy-like texture of the pepper’s rind. 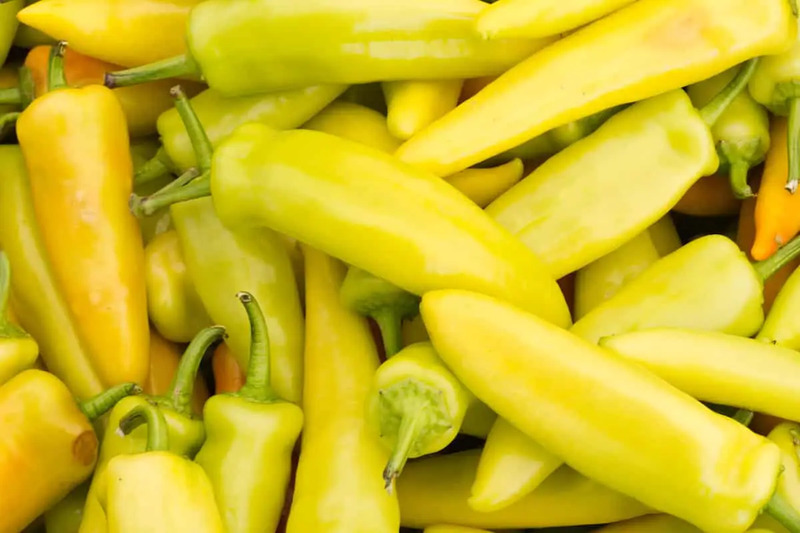 This texture and the color (before ripening) make the Hungarian wax pepper look a lot like a banana pepper, and they can be confused for one another. But really that’s about where the similarities stop. 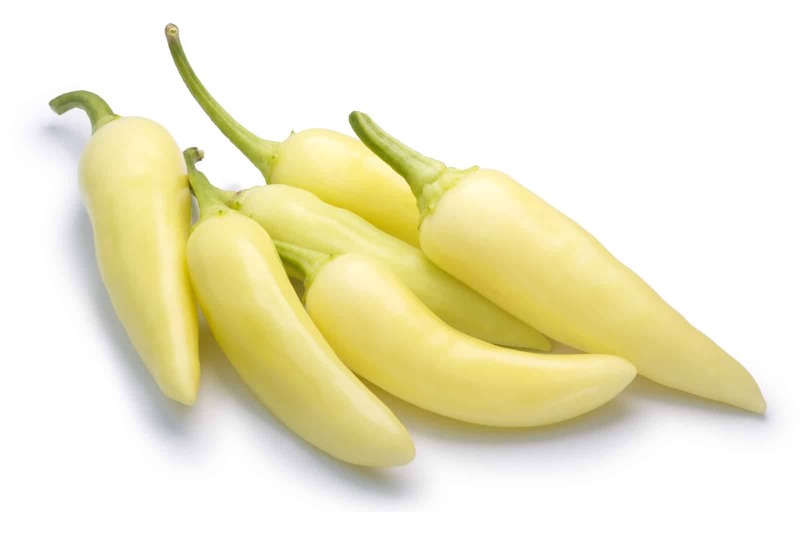 Banana peppers are very mild in heat, topping out at 500 SHU, so if you eat a Hungarian wax pepper when expecting a banana pepper, you’ll be in for a spicy awakening. Hot wax peppers do change color as they ripen, turning orange in hue, followed by red at full ripening. They’re also pretty large, topping out at 5 to 6 inches in length. Ans while they don’t have the girth of a poblano pepper, they’re no super-slim cayenne pepper either. They’ve got a plumper pepper shape, actually quite like a banana. What’s the hot wax pepper taste like? These are excellent peppers to cook with, let’s say that first. They are very flavorful and slightly tangy-sweet with that mild heat layered on top. They grow pretty easily in lots of climates and work in lots of dishes. In salads, you’ll find these chilies sliced up into rings. Lots of people love to pickle wax peppers. And they actually make a pretty good roasting and stuffing pepper as well. 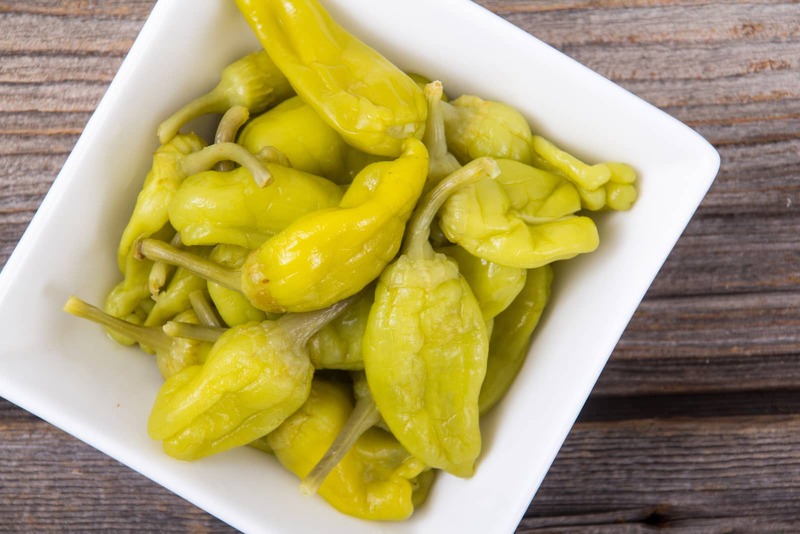 If you want a bit more heat in your chile rellenos, you could opt for a Hungarian wax pepper instead of a poblano − that’ll kick up the spice a notch. You can also work this pepper into marinades, hot sauces, sandwiches, stews, and stir fry, just to name a few options. The waxy rind might not sound appetizing, but it’s actually quite tasty even when eaten raw. This is a good flexible and adaptable pepper, just like the jalapeño. It works all around. Where can you buy Hungarian wax peppers? Some supermarket chains may carry wax peppers, as they are relatively mild in heat and are sought after by lots of amateur chefs − but it’s no guarantee. You may need to go to a specialty grocer to find them fresh. 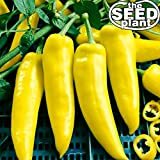 You can also buy Hungarian wax pepper seeds and plants online. 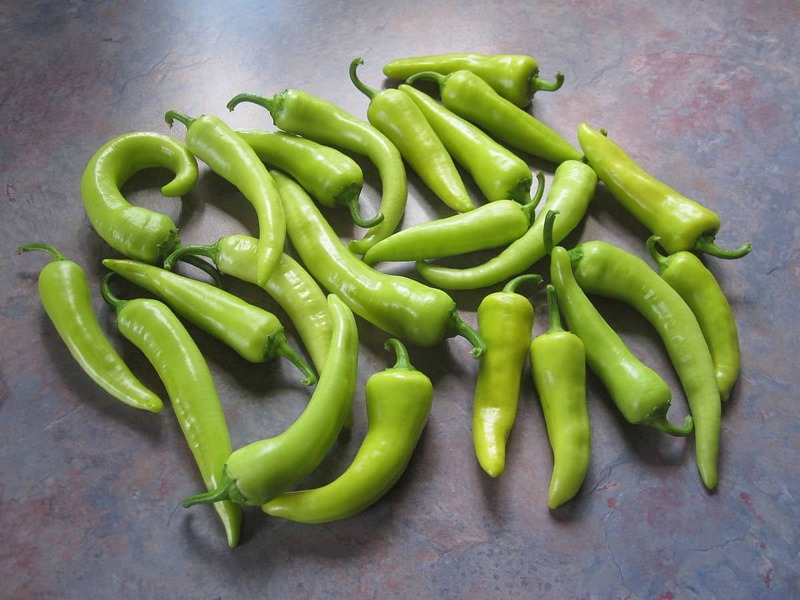 If you’ve got a green thumb and use these peppers often, wax peppers are easier to grow than many other hot peppers. Don’t be fooled by the bottled sliced banana pepper rings that are so prevalent in grocery stores. They may look alike, but those peppers are very mild in comparison. If you’re looking for Hungarian wax peppers, you may need to take an additional step to get them, but the great flavor is well worth the effort.